Ben & Jerry’s are considering changing the name of its Led Zeppelin-inspired “Hazed & Confused” ice cream after anti-hazing activists complained the flavor belittled the deadly problem on college campuses. Bloomberg reports the brand, a play on hazelnuts and the phrase “dazed and confused,” made famous by Led Zeppelin and the 1993 coming-of-age comedy, was released in February and the company didn’t receive a complaint until more than six months later. Lianne and Brian Kowiak of Tampa, Florida sent one of just three complaint emails received by the ice cream maker after seeing an ad for it earlier this month. The couple’s 19-year-old son, Harrison, died in a hazing incident at Lenoir-Rhyne University in Hickory, North Carolina in 2008 and they regularly speak to students and families about the dangers of hazing. Ben & Jerry’s spokesman Sean Greenwood says the company will discuss the Hazed & Confused brand at a global leadership meeting next month. Originally written and released by San Francisco songwriter Jake Holmes, “Dazed & Confused” was later performed by The Yardbirds when Jimmy Page was in the lineup before Led Zeppelin recorded it for their 1969 self-titled debut. 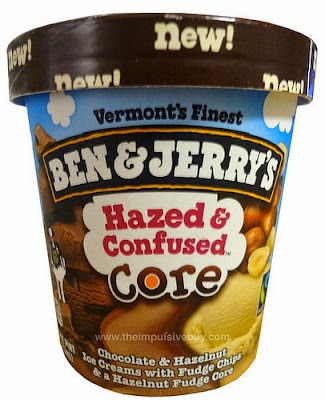 “Hazed & Confused” continues Ben & Jerry’s tradition of creating new flavors with a music connection; the company continues to sell Cherry Garcia, Imagine Whirled Peace and Phish Food, among others.